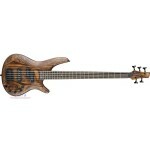 Features: Tonewood combination gives you a full yet punchy growl Spalted maple top provides .. 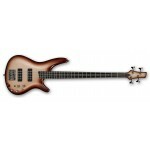 The Ibanez TMB100-WNF gets back to basics and delivers a one-two punch by combining a passive P/J pi.. Pick up the Ibanez SR875 electric bass and you'll quickly discover that Ibanez packed this modestly .. Pick up the Ibanez SR870 electric bass and you'll quickly discover that Ibanez packed this modestly .. Pick up the Ibanez SR675 electric bass and you'll quickly discover that Ibanez packed this modestly .. 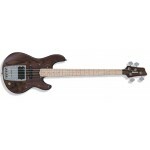 Pick up the Ibanez SR670 electric bass and you'll quickly discover that Ibanez packed this modestly .. 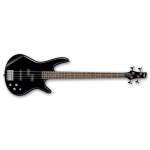 Custom Electronics 3-band EQ with bypass switch for precision tonal control and passive only operati..
Every bassist needs an Ibanez bass in their collection, whether you are a seasoned pro or just start.. 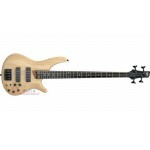 In fact, the experience of playing the SR370E is much like that of Ibanez's higher-end SR Series mod..
New for 2018, this Ibanez SR300E 4 string bass guitar is an excellent value for money. 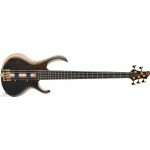 The mahogany .. 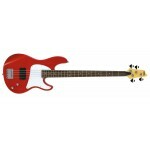 The perfect size for your pint-sized rocker, this Ibanez miKro GSRM20 electric bass guitar gives you.. The Ibanez GSR200L Left-Handed 4-String Bass is a hot little bass with nice balance and feel for a v..
We've seen many of the finest instruments on the market today, and few basses compare with Ibanez's ..
For 25 years the SR has given bass players a modern alternative. 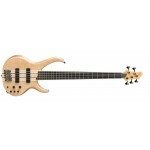 Embraced by bassists over the decad.. 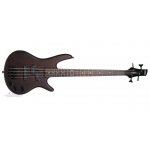 Description 4C passive bass Ibanez GATK 20 The Ibanez is now one of the top guitar brands, offer..
MODEL NO : EDB500 ..
his Ibanez EDB400 4-String Electric Bass Guitar delivers the Ergodyne's acclaimed comfortable shape ..
Ibanez BTB Serie BTB1305E-NTF Colour / Finish: Natural Construction: Solid Body Neck con..
With the ATK, we took the traditional concept of the bass and turned it up to "11". 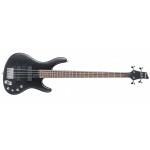 The result is on..
An incredibly well-crafted and equipped bass for its price. 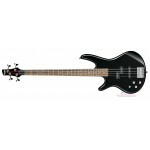 A slim, fast SR4 neck extends through th.. The Ibanez SR500 Bass is an incredibly well-crafted and equipped bass for its price. It features a s..
OVERVIEW Highly recommended as a first bass. The Ibanez GSR200 4-String Bass is a hot little bass..